Chronic pain and sleep debt seem to go hand in hand. We know that pain can have a major effect on all aspects of your everyday life, but those who don’t live with it may not understand how restless nights keep us in a cycle of suffering. According to the National Sleep Foundation, pain is a main factor in Americans’ sleep habits – or lack thereof – with people who suffer from chronic pain experiencing higher stress levels due to lower sleep quality. If you have chronic pain, you likely struggle to find a comfortable sleeping position. The sleep position you choose is important; it can help to ease certain types of pain and make it easier to sleep. The wrong sleep position can exacerbate existing muscle aches or pains. If you can’t break the cycle of chronic pain and sleep debt and find yourself, it might be time to change the way you’re sleeping. 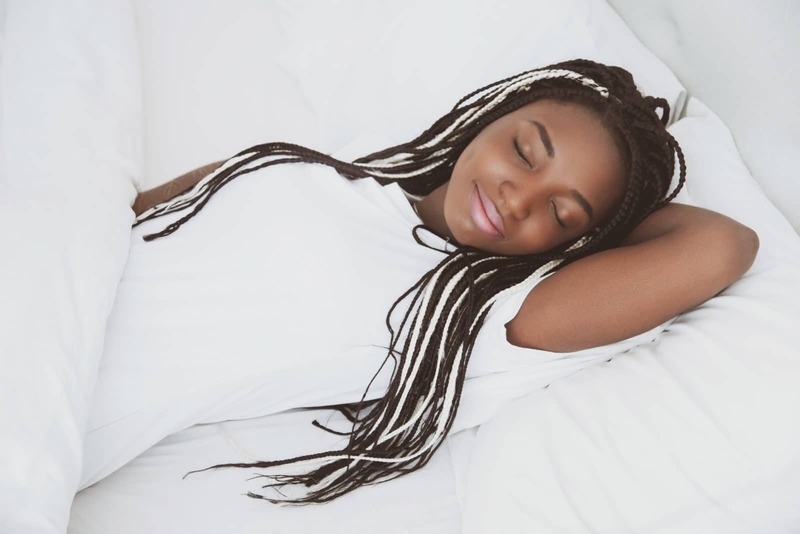 Let’s look at a variety of sleep positions and how they may benefit your body, your sleep quality and your overall health. The supine position, or sleeping on your back, keeps your back and neck straight while the “mattress supports the natural curve of the spine,” according to Natalie Dautovich, Ph.D., environmental scholar and sleep explorer for National Sleep Foundation. In this position, your weight is evenly distributed on your spine, a technique that helps to reduce back pain. Additionally, your head, neck and spine are in a neutral position, which eliminates strain and reduces neck pain. This is also an effective option for those who struggle with acid reflux, as it keeps your face turned upward and your head slightly elevated, preventing acid from coming up through your digestive tract. However, despite the obvious health benefits of sleeping on your back, it isn’t an ideal sleep position if you suffer from sleep apnea. 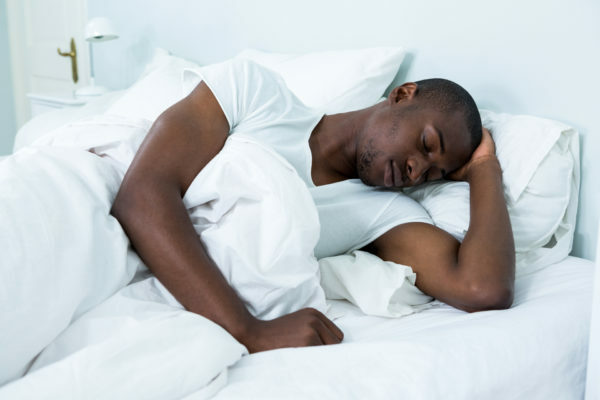 The force of gravity that weighs down on your stomach and throat when you sleep on your back can cause your tongue to block your breathing tube, making snoring worse. Tip for reducing pain: Sleep with a pillow underneath your knees for proper spine alignment. Sleeping on your side is another great position for those who suffer from back or neck pain. Side sleepers have the benefit an elongated spine, which helps to reduce both back and neck pain. Additionally, this position keeps the airways open, which both reduces snoring and helps to prevent acid reflux. If you do sleep on your side, your left side is ideal. Doing so can help you deal with your chronic pain and sleep debt by taking pressure off your spine. It can also reduce acid reflux and promote optimal blood flow, making it a preferable choice for your pain and your overall health. Sleeping on the right side can constrict your rib cage and lungs and can hinder blood circulation since your heart pumps blood back into your heart on that side. Tip for reducing pain: Sleep with a pillow between your knees to reduce pressure on your hips. Sleeping on your stomach is often considered the worst sleeping position for overall health. Sleeping on your stomach pulls your stomach and spine into the bed, which places pressure on the curvature of your spine and strain on your back and neck, causing pain. This position also cuts off circulation, which can lead to tingling or numbness in the limbs.